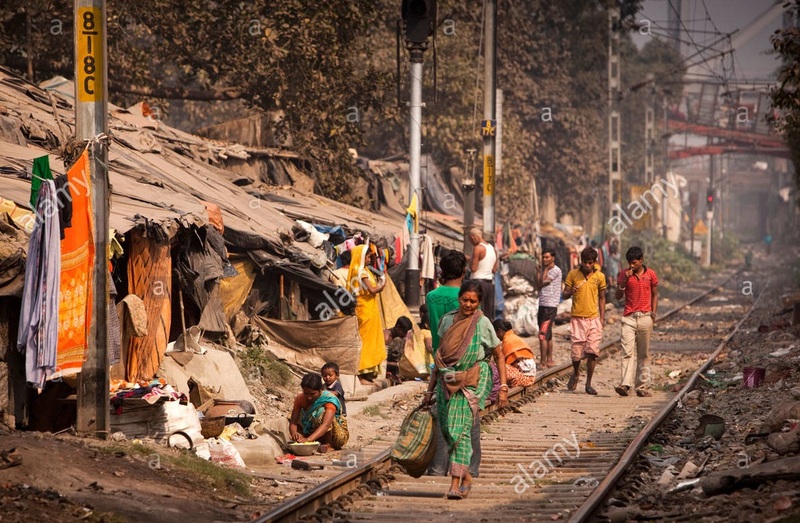 A Kolkata shanty town – Alamy file. Rochir Joshi is an Indian writer and filmmaker and also authors a columns in ‘The Telegraph’, ‘India Today’ and other publications. He was born in Kolkata and now is an artist in the Diaspora, commuting between London and Delhi. “In 1993, Ruchir Joshi decided to spoof the Western cinematic notions of the city that he loves. “My documentary Tales From Planet Kolkata was made to mock the popular perception of the city. I was fed up of everyone telling me about the progression of Mumbai and Delhi while Kolkata, apparently, languished in the backwaters,” says Joshi.” (From ‘Indian Express’: the film was commissioned by Channel 4. The film is in colour and in the academy ratio. It was projected from a digital source. 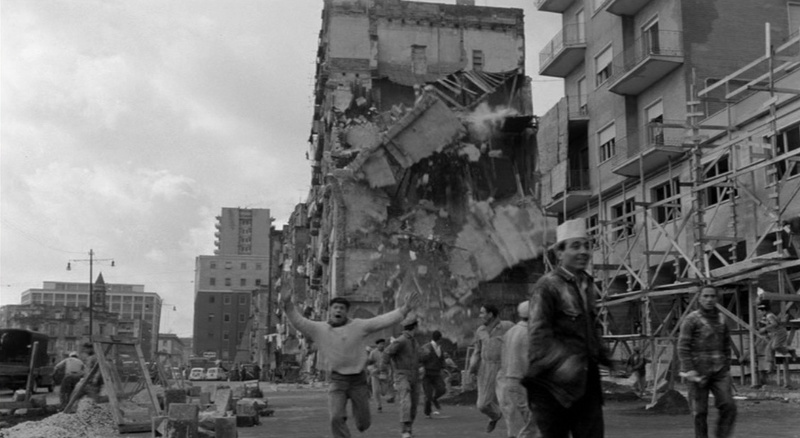 The film offers a series of shots and sequences from the city. Some of these offer comments on the history, notably two singers who display traditional scrolls with paintings about events, including the British presence in the city. The soundtrack is quite diverse, some of it is actual sound with voices of the inhabitants. 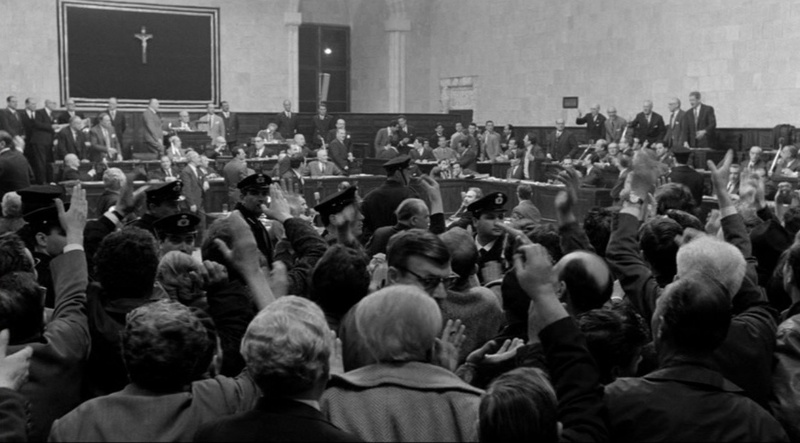 There is a reflective strand in the film as people refer to the earlier western filmmakers who have filmed in the city: notably Louis Malle and Pier Paulo Pasolini. A recurring strand is film of the making of ‘City of Joy’ (1991) which starred Patrick Swayze. These cinematic references are completed with the final imagery of acetate film floating and then sinking in the river. The cinematography in the film is very well done and it is visually pleasing. The sound, images and metaphors do not completely translate for English viewers [though there are sub-titles] but I suspect that it deliberate. Will Rose in introducing the films pointed out that LaPore’s work was ethnographic but also personal and offered a strong sense of place. I certainly got this sense from the films. The film was in black and white, academy ratio and was projected on 16mm. It was a series of shots of the city and its people. There is a thread running through the film but rather tenuous; there is definitely the sense of the personal in the selection of images and sounds. LaPore has a tendency for long takes. The film is mostly in long shot with the camera moving to mid-shots and close-ups, most frequently on people. 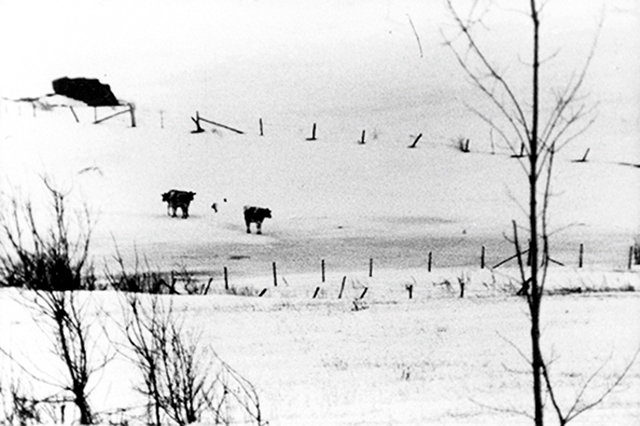 The camera is most often in “plan américain”, a straight-on shot at mid-height. The sound appears to be predominantly actual including the music. Mark LaPore on an improvised dolly. This was my favourite of the three titles. It was also filmed in black and white and academy on 16mm. Like The Glass System the film is composed of a series of shots of the city and its people. In this film the emphasis is on the streets, their vendors and shoppers and a street market. At the centre of the film are two remarkably parallel tracks, one reversing the other. Both seem to run for about five minutes as LaPore [and we with him] observe the life of the street. Both tracks are plan américain. The accompanying sound seems mainly actual, though the complex mix of sounds produces an aural tapestry. This film, made after LaPore’s death [by suicide], offers friends and colleagues talking about him and his work. Here a colleague recounts a minor but telling incident. She was preparing for a film class and checked her bag for her materials, including two cans of Kodak Tri-Pax. After the class she realised that one can was used film. it turned out to be film shot be LaPore before he died. 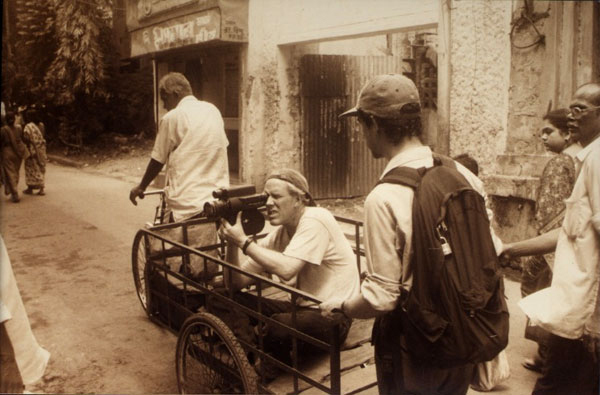 It was filmed in India and focussed on elephants, a particular interest of the filmmaker. So she screened the film for us, [whilst the original was in colour this extract was on black and white video]. You gained a real sense of both a working relationship and a friendship from the film. This was a really worthwhile set of screenings. It is always pleasure, [rare now] to watch 16mm film prints. The texture and contrast of the films, especially in black and white, is distinct from digital formats. And the films were, to differing degrees, fascinating. The Pavilion have two more events planned at the Hyde Park Picture House in this series. And the Independent Cinema Office have a number of titles, really fine films produced in India, circulating over the months of the anniversary. Larry Gottheim is part of the USA avant-garde film movement. His approach is experimental but also fairly subjective. He started on 16mm films in the late 1960s and most of his work has been in this format. His work has been predominantly carried out in New York State. 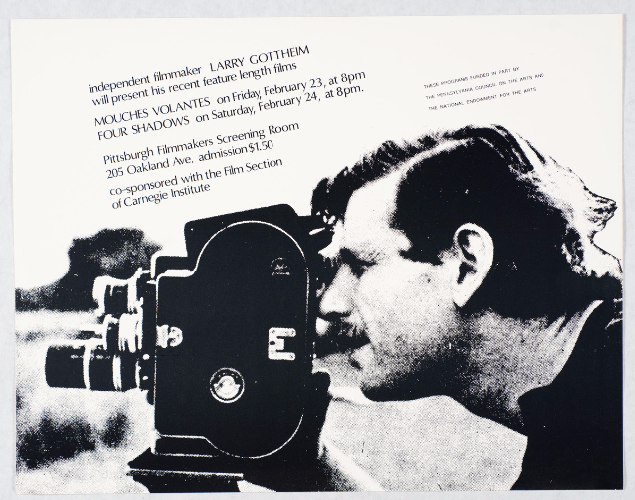 Apart from his film making Larry is also important in US film as the co-founder of the Cinema Department at Binghamton University situated near Ithaca in up-state New York, a pioneer in developing cinema as a form of personal art. The programme of four films organised by the Pavilion together with the Hyde Park Picture House offered two early films and two films from his later career. Larry himself was there: part of an extended tour in Britain and continental Europe. In his introduction Larry suggested that the tour was providing an opportunity for reflection on his whole body of work which he now saw as an ongoing project. He referred to his most recent film, Chants and Dances for Hands (1991 – 2016) produced on digital rather than his usual 16mm, which he felt had given him a fresh perspective on the earlier work,. He expressed a strong interest in time and duration and increasingly on the relationship between image and sound. The Cinema Department at Binghamton University was the first regular undergraduate program in the USA that dealt with cinema as a personal art. Larry maintained his professorship for a time there, teaching film making and aesthetics. The first film was Corn (1970)in colour and running for eleven minutes and silent. [The projectionist ran the whir of the camera through the sound system]. Larry also referred to the technical aspects, shooting this on a floating-head tripod with decisions about lens and focal length. The final two films were from later in Larry’s career and exhibited a distinct change in the form and style of his work. In fact they were screened out of sequence, with the earlier film last, presumably because it was the longest. Their dominant features were the preoccupation with sound and vision and the use of montage techniques. 1986, colour and black and white , 16 minutes. The film combines found footage with sequences filmed by Larry. The soundtrack is mainly found audio, though there is possibly some actual audio recordings as well. This is a fairly subjective mix and at times it is tricky to assign meaning. 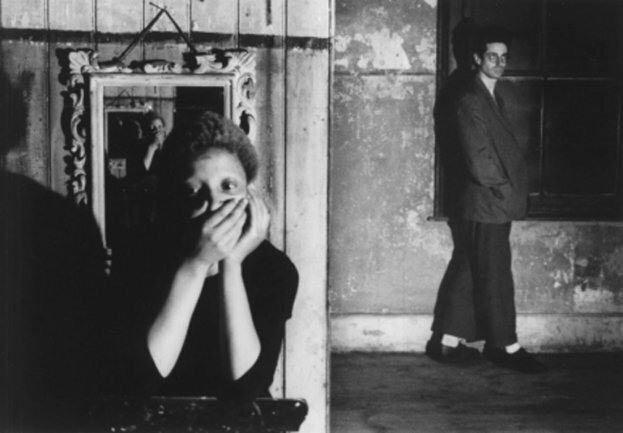 However, overall, apart from the themes identified by Larry, the film seems pre-occupied with experiences of Afro-Americans; their voices appear in the sound footage and their figures can be glimpsed in the very fast montage. 1980, colour and black and white, 16mm, 60 minutes. The film opened with a colour sequence filmed in a bar, followed by a very slow dissolve of a black and white image of a tree; the films ended with the reversal of these sequences. In between the film consisted of found footage; a 1950s US documentary for school students and a 1940s documentary about the treatment of paranoiac patients; these were intercut with footage filmed by Larry of scenes of nature but with a hand-held camera using very jerky camera movements. The film at times accompanied the moving images with soundtracks from other sequences. I liked the opening and closure, and some of the counterpoint between sound and image was interesting. However, Larry constantly replayed sequences from the two documentaries which I thought became tiresome. And the actual footage in the film was difficult to watch as the jerky camera movements were rather like watching a strobe effect. At sixty minutes in length this became something of an ordeal. It also subverted the presentation as by the end the film we had overrun the timed schedule. So Larry was only able to say thank you and suggest we could follow up informally. There was no time for questions. Given the running time of the combined films was 95 minutes I think that the presentation should have been longer: at least two and half hours. Apart from my different responses to the four films I felt that the selection and order limited our chance to take an overview of Larry’ film work. There is clearly a significant change in his approach to film and in the preoccupations therein at some point in the 1970s. And I am still unclear how this developed. There are comments by Larry online and notes on interviews he has given. And there are commentaries about his films, though the one’s that I looked at did not address questions of form and style in sufficient depth. It is important to note that\t Larry Gottheim considers that his recent digital film, still to be seen, proposes a new perspective on his work overall. The Pavilion are hoping to make this available in some form. The aspects of his films that I most enjoyed are precisely those that are best served by the silver halides in actual film. For example, the operation of light in Corn and Doorway, and also to some degree in Mnemosyne. But I should be interested to see how Larry Gottheim works with digital formats. NB The films are listed as 1.33:1, but I am pretty sure they were all shot on sound stock and on this occasion were masked to 1.371. The 16mm projection was fine. The projectors were actually sited in the cinema balcony and the sound run through a separate sound system and out from the central loudspeaker behind the screen. All quotations by Larry Gottheim in the presentation or online. 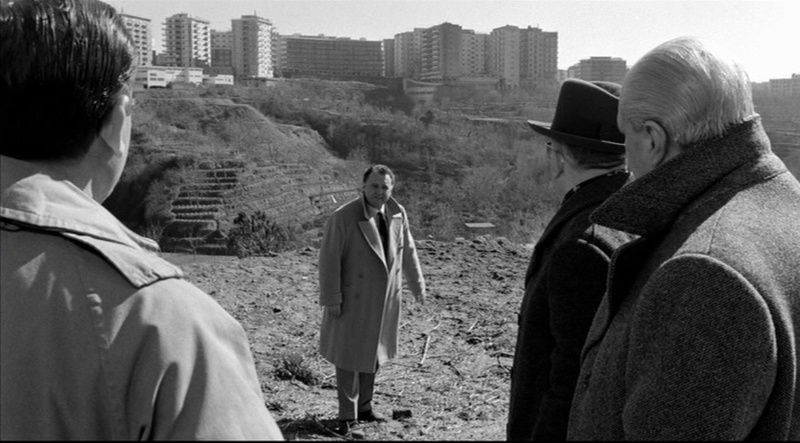 This film is in the form of a Cine-Roman: the most famous example being Chris Marker’s La Jetee (1962). The impression is given of a series of stills, thus exposing the basic form of what we call moving pictures. I love this form, both because of its subversive function but also because, when well done, it is poetic, atmospheric and can be immensely stimulating. In some ways it seems to me the cinematic equivalent of the Japanese Haiku, a form of brief poem with a highly conventionalised form. So this particular example is by a friend of mine, Lyall. It does include a couple of sequences with traditional ‘moving’ images: something that occurs just for a few frames in the Marker film. This film also has a very effective voice-over and sparse but potent music. Lyall is studying music and sound on film. Definitely worth a visit. If you type the term ‘Cine-riman’ into a search engine, once you get pass the advertising, you can find other examples. One of my other favourites is Despondent Divorcee. “Sally outlined the questions she implicitly considered in these early films: ‘what is film space and film time? What is the frame?” However watching the films I was also struck by a focus on bodies and movement – a preoccupation that explains why, though she says she always wanted to become a filmmaker, she also studied dance and ballet. The programme consisted of five films. The three shortest are clearly early experiments in the medium of film. The other two are more substantial explorations of narrative worlds. The London Story (1986, colour 15 minutes) seemed to me to be a nicely produced but essentially lightweight spy story. In fact, it was the only one of the film funded by a public body, the BFI. I rather thought that said something about film funding in them UK. Thriller (1979, black and white, 32 minutes) was a much more substantial work and really impressive in its linking of themes and style. 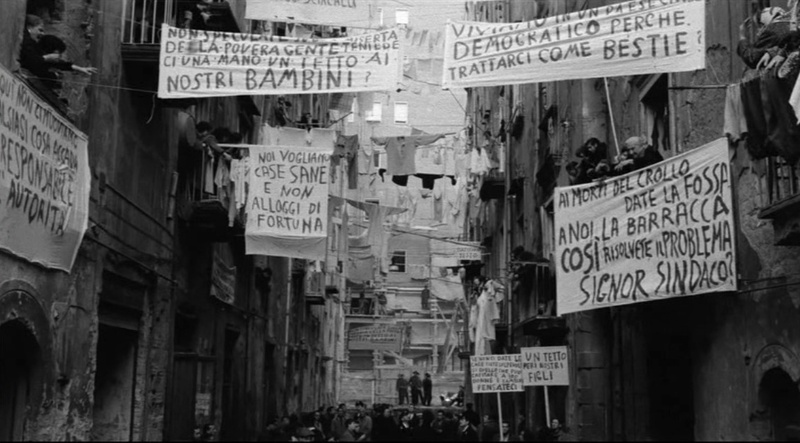 There are two major strands in the film: the first is a series of still photographs of a performance of Puccini’s opera La Bohème in Italy in the 1930s. This accompanied by a recording of an opera performance in London in the 1950s. The second strand combined a drama and dance rendering of the opera’s plot. The setting is some sort of attic room. The performers are in contemporary dress. And the lead performer, re-enacting Mimi, is a young Afro-Caribbean woman. In the course of this we hear Bernard Herrmann’s accompaniment to the shower sequence in Psycho (1960) several times on the soundtrack. Towards the end we also hear a commentative voice that asks questions about the drama. One question poses what would be the effect if Musidora rather than Mimi was the protagonist in the drama? This pursued only briefly. The main question suggests that Mimi’s death could be murder – hence the use of Herrmann’s score. This raises a much larger question given the predilection of modern melodrama to present the woman as victim, and therefore as an object rather than a subject. Like much of Potter’s work the film is full of what seem to be deliberate references to cinema and to other arts. She appears to have a taste for references to Surrealism. I discerned hints of Luis Buñuel, Marcel Duchamp and Rene Magritte. I found the film both enthralling and stimulating. It also seems to illuminate preoccupations that recur in Potter’s later work. There is certainly a recurring address of issues found in Feminist theory and practice. And there is a continuing interest in what is called intertexuality – the way that cinema, and other arts, intertwine their meanings and motifs. This was another film featured in the Bradford Film Festival New Shorts. Callum is a teenage school student whose girlfriend Joanna has been killed at a local train station, Honor Oak Park. The setting is London though I think the station name is fictitious. The film shows up Callum’s grief over the incident, using a fairly intricate set of cuts between the present and flashbacks to the night of the incident. However, Callum is also caught in a moral bind and subject to violent pressure from a group of young men who were involved. So the film charts his grief but also his struggle to face up to responsibility. The film clearly aims to deal with the topical issue of London teen gangs. It draws a fairly stark contrast between the uniform clothed school students and the far more informally dressed gang members. Both school and gang are multi-racial; this is about the teen world and its separation from the world of adults. The contrast is emphasised by the brief cameo of Callum’s father, depicted as authoritarian and unsympathetic. The local woman police constable is a far more empathetic character. The camera work and editing is well done and maintains a definite rhythm. However, the narrative does become rather predictable. The gang in particular is rather stereotypical and the resolution is fairly obvious before we reach it. Director: Isamu Hirabayashi, 2011. 7 minutes. This is a delightful Japanese animation: a format in which this film industry excels. It is very simple, both in its draftmanship and its story. A voice-over explains the events. The English titles are centre screen and I wondered if the original version had the beautiful Japanese script here. 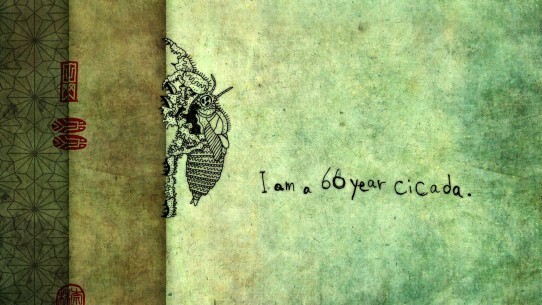 It tells of the cicada which every 60 years climbs up a tree, sheds its shell, lays an offspring and dies. This particular year floods and eruptions threaten the cicada. Will it survive and reproduce. Then the end credits roll? The film reopens as at the beginning, but now a cicada intent on climbing higher and higher has heard that when it was born there was a great tsunami and earthquake. The voice-over now includes multiple voices. It would seem the cicadas have survived and multiplied. We are told ‘I love this country’. Enigmatic but clearly a metaphor for the year of its production, 2011. Screened in the New Short section at Bradford International Film Festival. France 2011 1.66:1 in colour and Panavision. This is a ghost story, beautifully filmed. It is set on October 29th 1989, [I rather suspect the date is significant]. An elderly man sets the table in an old-fashioned dining room. He calls upstairs where young woman reclines reading and listening to her MP3 player. It is only the barking of the family collie that makes her aware of mealtime. The first course is soup. The grandfather remembers that it was a favourite of the girl’s grandmother, and remarks that she is very like her. It becomes clear that there is an absent father and that the young woman resents the situation. Abruptly she volunteers to take the dog, Max, for a walk. He soon runs off and she chases him in to a disused rail siding. An old man [possibly Jewish] appears and points to a disused carriage where Max is presumably chasing rabbits. The carriage is full of cobwebs and detritus. The girl emerges on the far side in a parallel to the way that opens Lewes Carroll’s classic Alice. She enters a wood where the past and the present intertwine. The past is set during the war time occupation and one other character that she meets in the past is [inevitably] her grandmother. After this ghostly adventure the girl returns home with Max to find an open photo album and a photograph of the dead grandmother. The film ends with an embrace between grandfather and granddaughter. The closure of the film is not really a surprise but the evocation of the past is beautifully done. The wood changes from dappled sunshine to a more threatening misty and damp territory. The wide screen camera catches the changing hues and colours in the contrasting settings. The music varies from low cellos and vibraphone too much higher violin and a piano. And the bird songs change from chirppy twitters to more threatening squawks. The whole 18 minutes is absorbing and remarkably effective. The cast, including Totem as Max, performs very well. One totally separate pleasure was the opening credits of the production Datasat, which is a brief but delightful pastiche of Spielberg’s Close Encounters. The young woman on the train. UK 2010, colour, 12 minutes. Written and directed by Robert March. This was a very effective entry in the Bradford International Film Festival New Shorts, one of the pleasures of Festivals rarely enjoyed in regular cinema. My Collins English Dictionary defines the title word as ‘a projectile containing a number of small pellets or bullets exploded before impact’. My colloquial sense of its common usage is that we refer to the fragments left in the body of a victim of such a projectile. This seems to be the sense in which the filmmakers are using the word. The main protagonist is a veteran of the 1991 Gulf war and is clearly psychologically scarred by that experience. Essentially we see him in two situations, first at his work on the railways, either in a dim and dank cabin or on the tracks and sidings where he labours. The second is on an electric train [in West Yorkshire] where he strikes up a conversation with a young woman. Their conversation opens up memories and traumas and also raises an intriguingly powerful question. In keeping with contemporary narratives this remains unresolved, though we do learn in a voice-over of the traumas and their effects on the man and his lost family. There is a stark contrast between the atmospheric camera work in the dark and eerie rail sidings and the brash daylight of the rail carriage. This produces a slightly noir effect suitable to the downbeat situation. The daytime shots are in shallow focus, mainly due, I think, to digital photography. But this enables the intended close focus on the older man and the younger woman. The Festival Catalogue suggested that the ending of the film forces the protagonist to ‘face the biggest decision of his life.’ My reading of the film was that his situation has already pre-empted any such decision: a sense reinforced by a very specific last action and shot. It was this sense that made the film such a suitable companion to the feature that afternoon, Alan Clarke’s Scum (1979). Screened in the short film programme at the Bradford Interntional Film Festival, 2011. USA 2010, colour, 15 minutes. 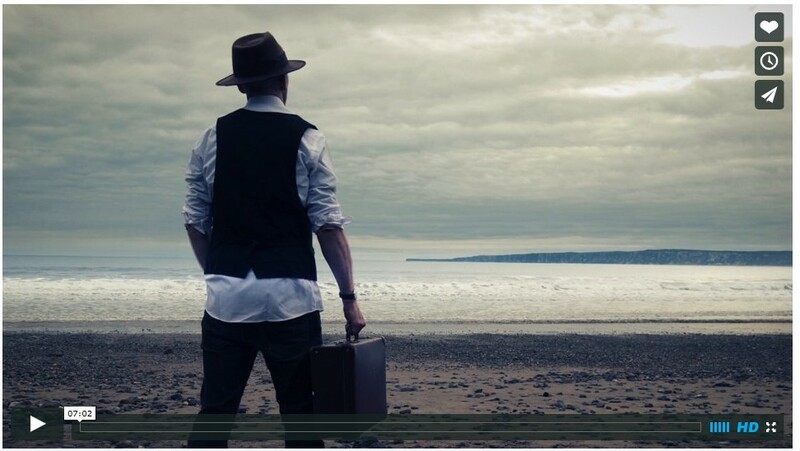 This is one of the short films that are screened throughout the Festival. And it managed to be original and delightful viewing. It was filmed in New York and shot on 35mm, so it looks good. The central character is Anna Marshall, adjusting to life after the death of her husband. The film opens with a visit from a sympathetic neighbour, who is, however, taken up with other things than a grieving widow. So, alone at home, Anna receives a mysterious phone call, the only audible sound is breathing at the other end of the line. 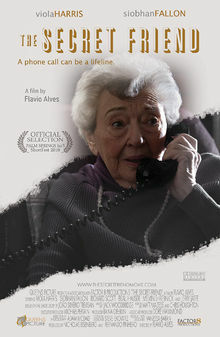 The call occurs at 3.30 p.m. And, sure enough, more calls follow, nearly always at 3.30 p.m. At first irritated, Anna becomes increasingly intrigued by the wordless caller and start herself to fill the silence. The development of this unusual premise is delightful and the film is both funny and positive about Anna’s situation. It would be a shame to disclose the climax but it reveals unexpected resilience from Anna.